9x12 inches. Key: Eb major. on the first page in particular. (some of the naturals and sharps can look similar due to printing drop-outs.) It just needs to spaced out a little more. Some sections are clearer than others. There are similar issues in the piano reductions where some of the chords with thirds almost look like a single blob on the stave. On the positive side, the page turns are very well done. The typesetter has managed to put a bar/s of rest on the bottom of each right hand page to enable a page turn during a break in the music. Well done on that point. Some publishers seem to think everybody performs from memory. This is one piece that one might expect the performer to like to have the music in front of them.
. 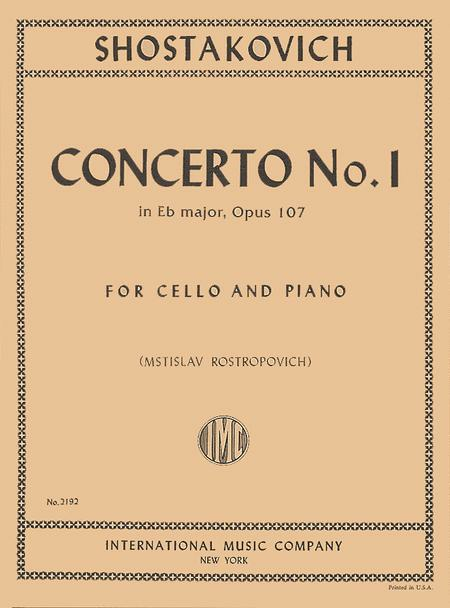 The cadenza leads directly into the last movement, which is only about four minutes, but is incredible, and a phenomenal wrap of the whole piece by Shostakovich. This edition is very good for the price. 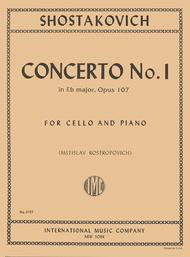 This concerto is one of the hardest concertos for cello ever written. It is insane. This concerto is very emotional and very intense which must be pulled off during extremley difficult technical passages. or live to regret it for evermore.